Here is a selection of my designs, I have published for sale all of these patterns have been thoroughly test knitted. My full catalog can be found on Ravelry. If you have never made one of my patterns before it should be noted that I like my accessories to fit snugly. So all my mitts and sock designs have negative ease. I hope you enjoy the crazy or simple or unique things that I offer up for your crafting joy! If you have any question, please contact me, either here or in my Ravelry group. I am always happy to clarify the weird! Pattern inspired by an artifact on the television show ‘Warehouse 13’. 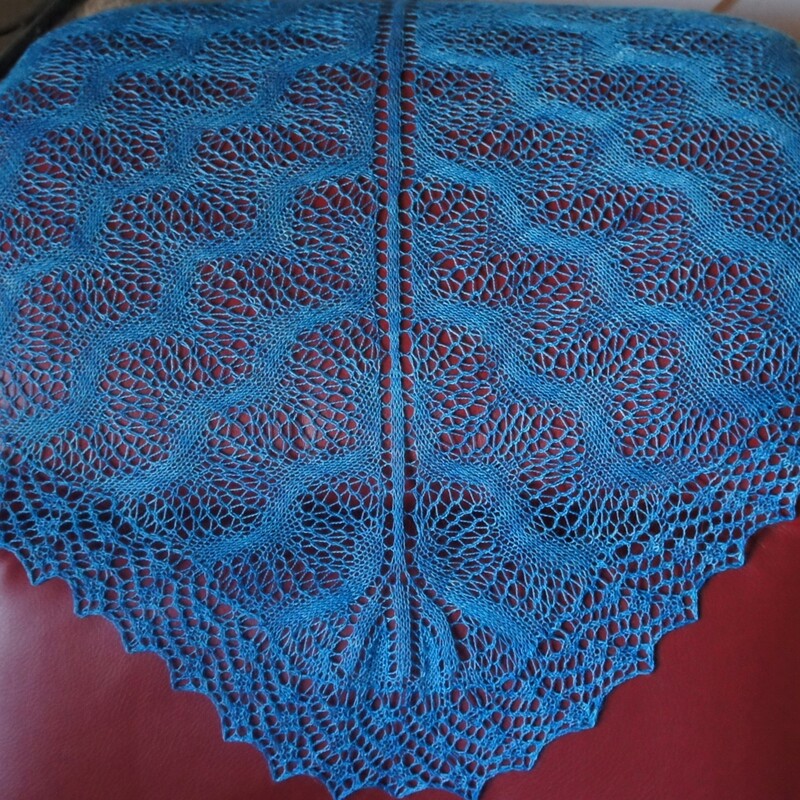 This shawl has deceptively simple lace field with a complex sideways bind-off. The pattern has instruction for a small shawl and a much larger one. Inspired by the timeless tale by Hans Christian Anderson, Gerda’s Love starts as simple accessories with a basic 2X2 ribbing edge. This feeds into a bold (as Gerda, maybe?) lace heart pattern that is accented by beads placed like little flecks of mirror on the surface of it. 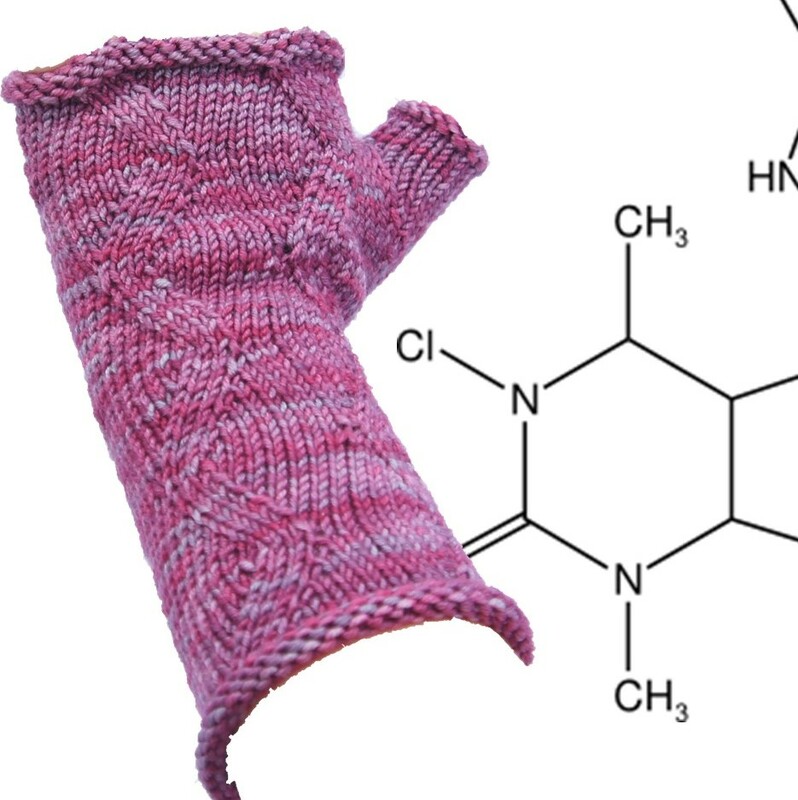 Pattern includes Hat and Mitts. Pattern inspired by an artifact on the TV Show ‘Warehouse 13’. 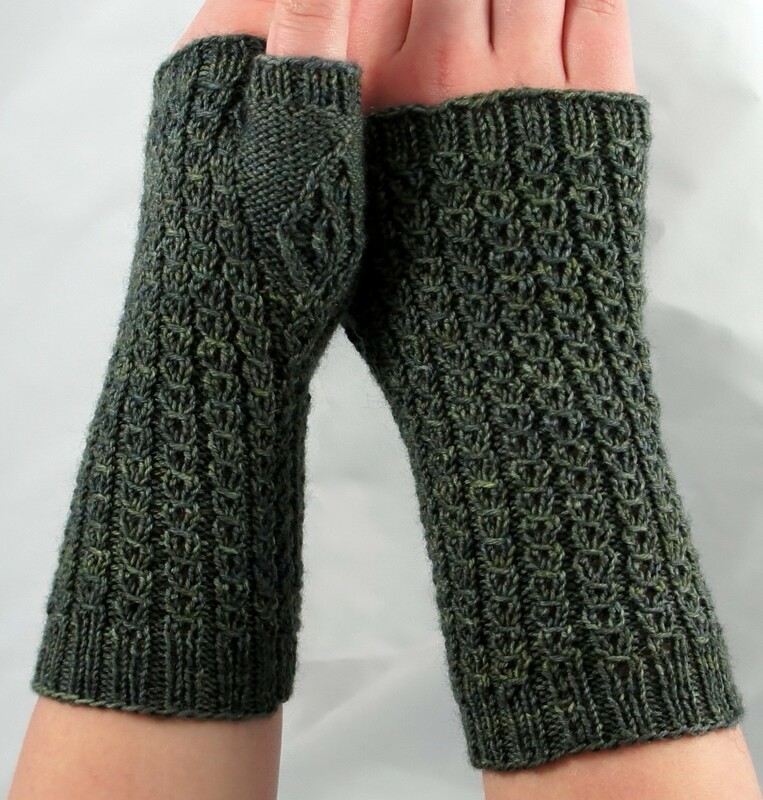 These fingerless mitts feature eyelet ribbing and an embossed skeleton key motif. Feel the need to show the world how committed you are to your handcraft? 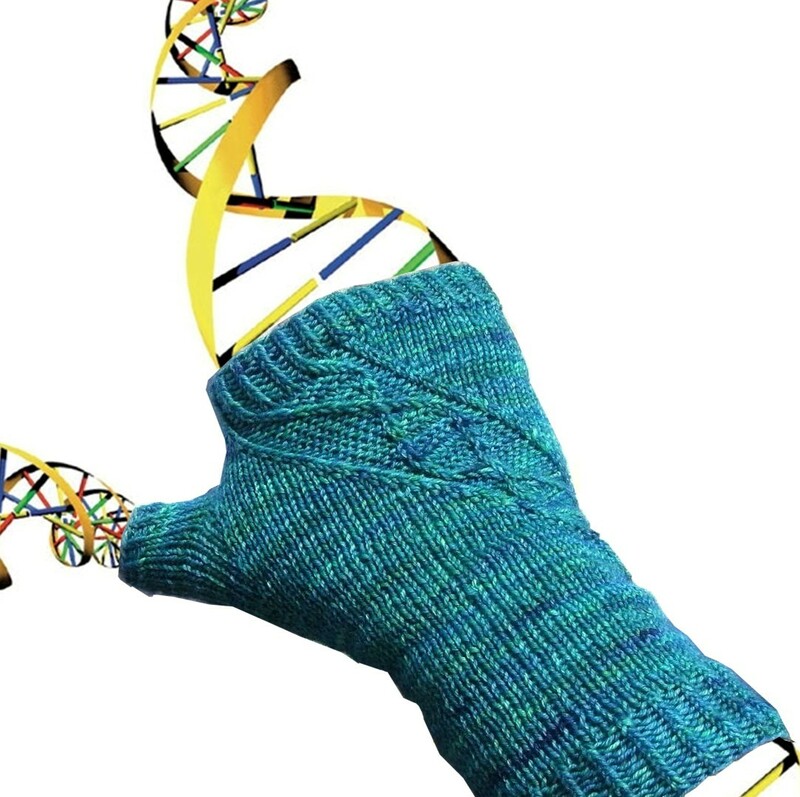 Show that knitting is simply part of your genetic make up with these interesting-to-knit mitts. The cast on edge is actually the ends closest to your fingers. Inspired by the character Nina Sharp from the television show Fringe, this fully patterned mitt features tailored lace and cuff-up construction. Inspired by the characters and event from the Television show Fringe, this mitt features unique knuckle-down construction. The simple all over pattern is easy enough for a beginner knitter and interesting enough to show off a lovely variegated yarn.This mitt is a companion to the Shapeshifter sock. Inspired by corsets, this design features light beading for the front closures on the leg with twisted stitches simulating corset boning and lacing. The lacy bind-off that trims it off looks great in either matching or contrasting yarn. 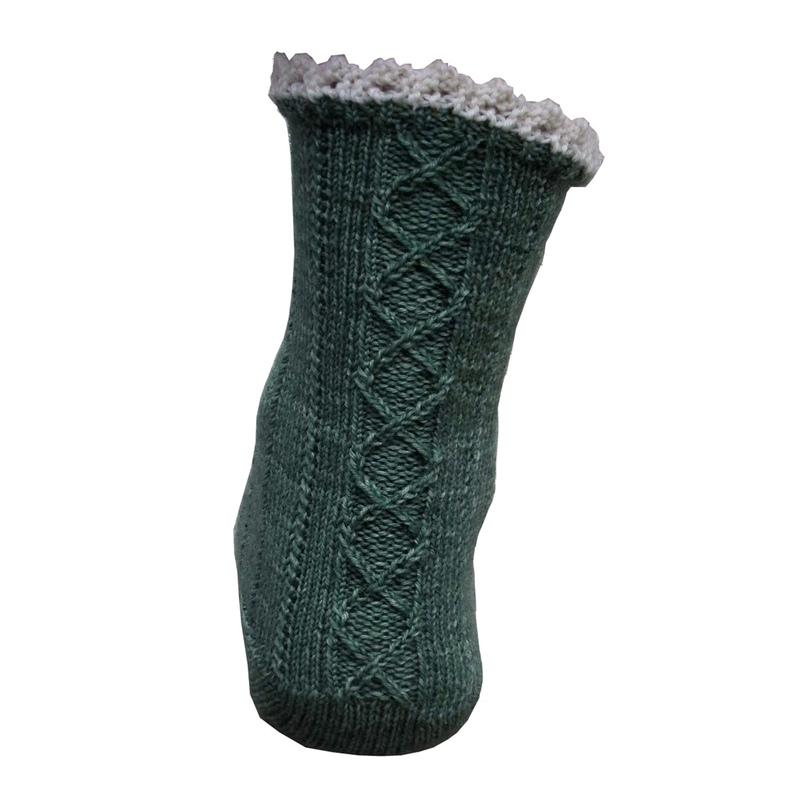 The construction of this sock is toe-up with Cat Bordhi’s sky-arch construction for the heel. 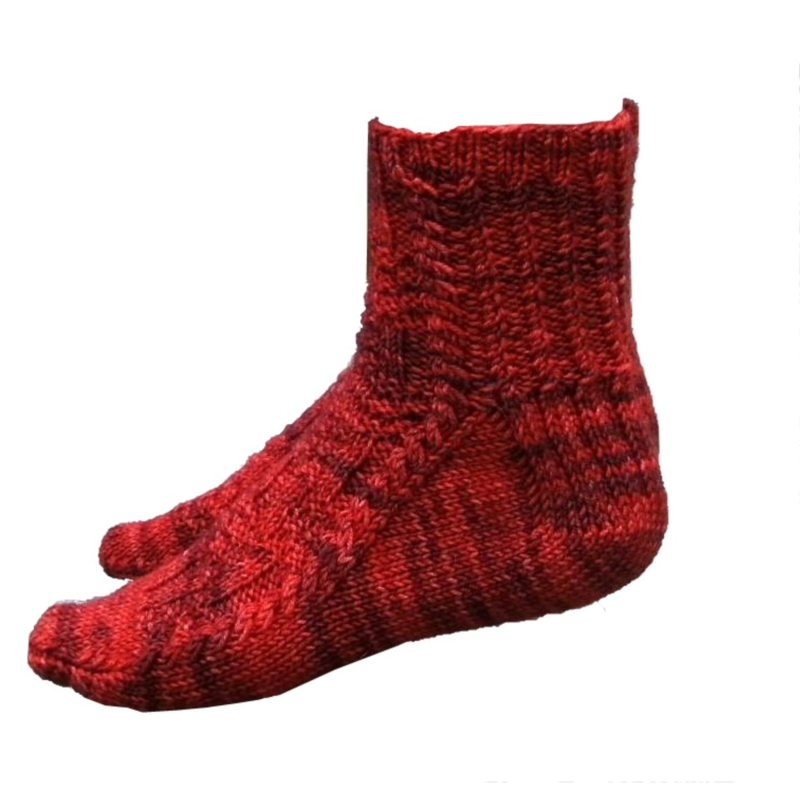 Inspired by the events and characters on the television show Fringe, this toe-up sock features twisted ribbing flowing from the toe to the cuff opening along the way to show the man in the machine. *This pattern was part of a sock pattern club in which each design was duplicated in the opposite construction. If you prefer cuff down construction, you can purchase Z.F.T. on Ravelry. Pattern inspired by an artifact on the TV Show ‘Warehouse 13’, this toe-up slipper pattern features a tassel motif, short row shaping and minimal finishing. Inspired by the events and characters on the television show Fringe, this toe-up sock simple all over pattern is easy enough for a beginner knitter and interesting enough to show off a lovely variegated yarn. This sock is a companion to the Shapeshifter 2.0 mitts. *This pattern was part of a sock pattern club in which each design was duplicated in the opposite construction. 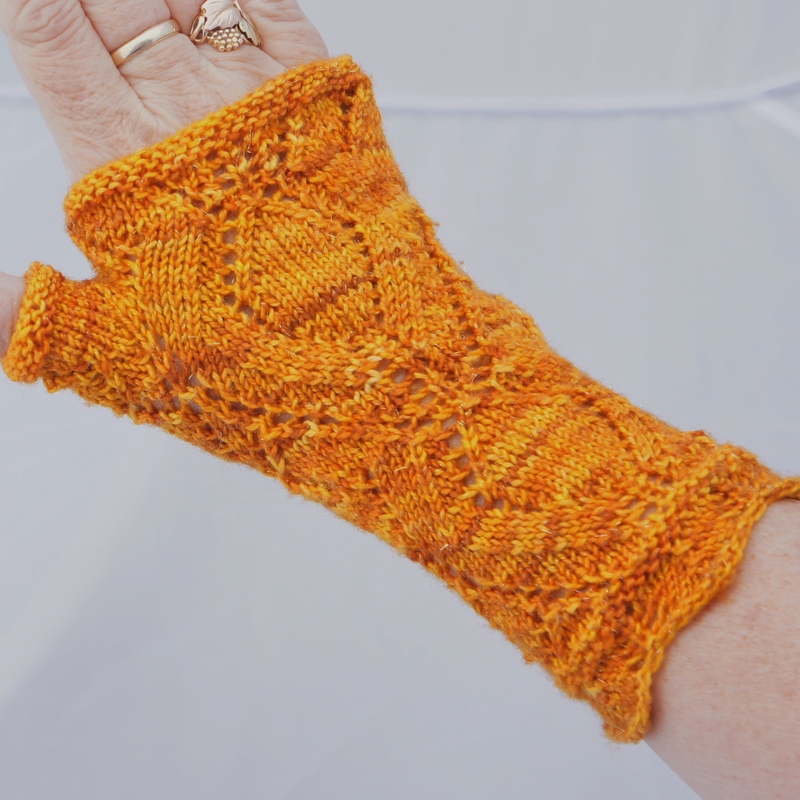 If you prefer cuff down construction, you can purchase Observers on Ravelry. Inspired by the events and characters on the television show Fringe, this cuff-down sock is stretchy enough it fits Women’s US 7.5 to Men’s US 10.5 with lengthening. 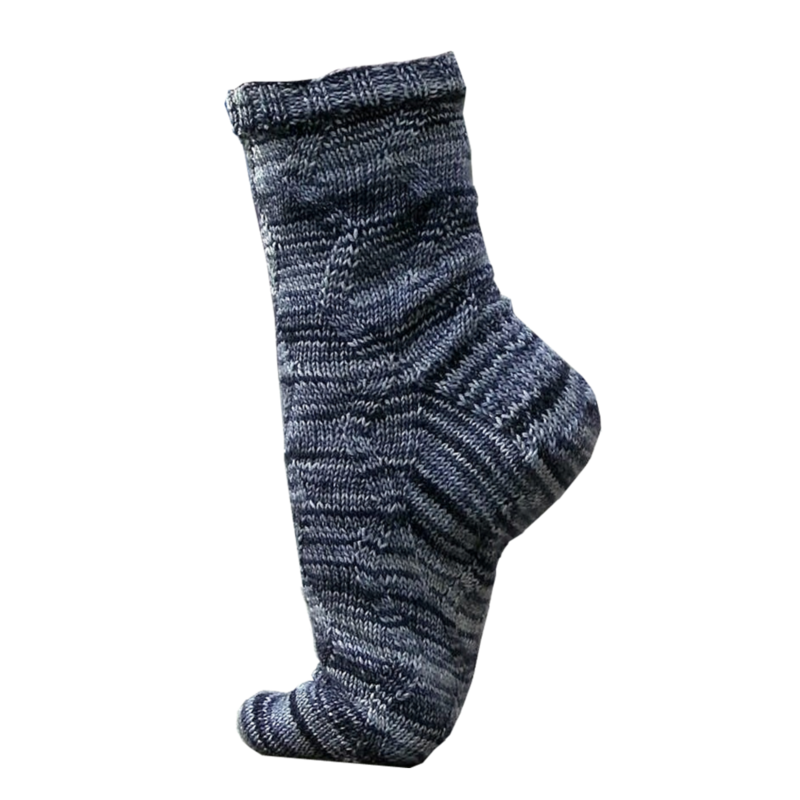 A beginner sock pattern featuring short row shaping, and twisted stitches. *This pattern was part of a sock pattern club in which each design was duplicated in the opposite construction. If you prefer toe-up construction, you can purchase Walternate on Ravelry.